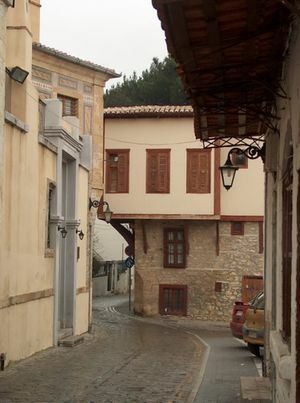 Xanthi (Greek: Ξάνθη) is in Western Thrace. It's the capital city of Xanthi Prefecture. The closest airport is "Alexander the Great" airport about 20 km from Kavala. Planes, mostly touristic charters, fly all over Europe. Interurban coaches ("KTEL" buses) are by far the most convenient way to travel around Greece, as well as for intra-regional travelling. There is frequent bus service from Athens Kifisos Station to Xanthi, as well as from Thessaloniki bus terminal "Macedonia" to Xanthi. Trains OSE  connect Xanthi to other cities in Greece. Travelling with ordinary trains can be cheaper, although a little bit slower, whereas choosing a fancy faster Intercity train will cost the same amount of money, or even more than a KTEL bus. This page was last edited on 15 March 2017, at 23:39.